Advanced Web Design has been using Drupal to design and develop great websites before it was cool. There is no reason why you too can't have a great-looking, modern website. (Modile friendly too!) Our small team puts this within your reach by saving a lot of time, money and hassle. Want that personal touch? Don't have tens of thousands of dollars laying around? Still want a great website? Consider the many possibilities of a Drupal website. So you have a brand new website to launch? Inspect it first. Nothing is more embarrassing than starting to promote your website only to find it riddled with errors, or the login process is difficult for users, or the navigation is problematic. There are many ways a website can go wrong. But with a keen eye and a little patience, renegade errors can be headed off at the pass. Here are some areas that need to be looked into before your website goes live, in no particular order. Setting clear and accurate goals when designing your website - as in any pursuit - can save you much time and money in the long run. This is a task that should not be done blindly or without outside advice. Involving anyone at all - friends, family, an expert, a colleague - will be an asset. As the old saying goes, two heads are better than one. 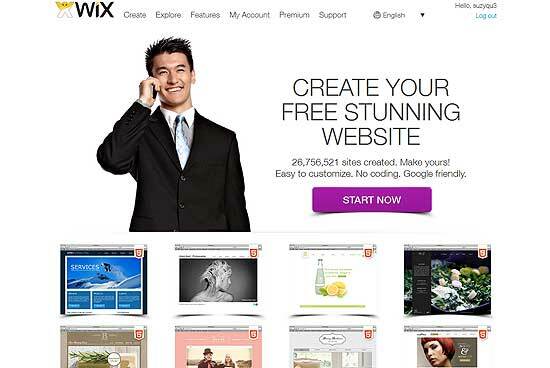 I heard about Wix.com, on the radio, advertising free websites with beautiful designs. So my alter ego and I registered for an account and started a free website. I would like to share with you what I found out. Drupal is a content management system website platform. Ubercart is an e-commerce solution based on Drupal. We're a preferred vendor in the Chatham, New York Web Design Service section of Marketingtool.com. WEB DESIGNERS DIRECTORY: Flash Web Site Design, Graphic Designers, Web Designers, New York Web Designers, Build your own Web Site. We are listed in DesignDir.net Web Design Directory - an industry leading web design and development directory bringing together the best designers and their customers. We're listed in the Freelance Web Designer directory - Find expert freelance web designers and programmers at the prices you want to pay. Post your projects and freelancers will place bids. You choose the price you want to pay.